https://soundcloud.com/atomathome https://soundcloud.com/greem https://soundcloud.com/dj-pfel https://soundcloud.com/20syl The four DJs’ dedication to their art has led them to make a clean sweep of the DMC World Champion title for four years in the row (2003 - 2006). 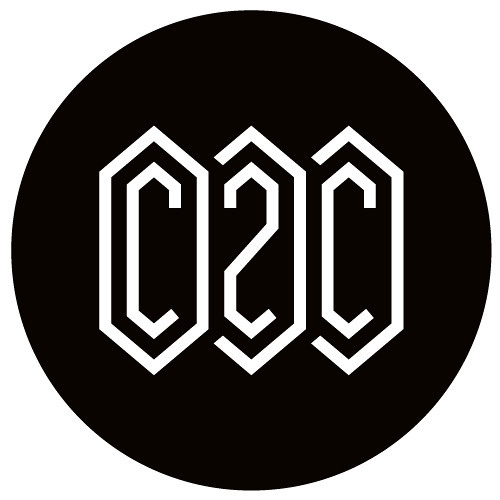 C2C consists of 20syl and Greem (from Hocus Pocus) and Pfel and Atom (from BeatTorrent). After a decade of teamwork, they dropped their debut EP, Down the Road in 2012. The success of this first project provided a strong foot forward for the anticipated release of their groundbreaking album Tetra the same year. Critically acclaimed, the record was rewarded four “Victoire de la Musique” (French Grammys) and a Double Platinium Record. Features’ enthusiast, C2C has invited several artists on record (Gush, Jay Jay Johansson...) and has shared the stage with major acts such as French poly instrumentalist -M-, while working on iconic remixes (Bernhoft, Vitalic etc.). Their original music videos F.U.Y.A. and Delta showcases C2C’s neat and eccentric visual esthetic. On stage, C2C’s impressive scenography discloses the band’s love for graphic design and visual arts. Their flawless identity and their original sound catapulted the quartet from European’s biggest stages to the Coachella music festival. Savant mix of Hip Hop and electronic C2C’s has shaken the music landscape and has turned turntabilsm into a pop culture phenomenon.